Two-term Michigan Democratic Sen. Debbie Stabenow leads Republican former Rep. Pete Hoekstra by six points, according to a new poll. However, a majority of likely Michigan voters give the incumbent negative job approval ratings. 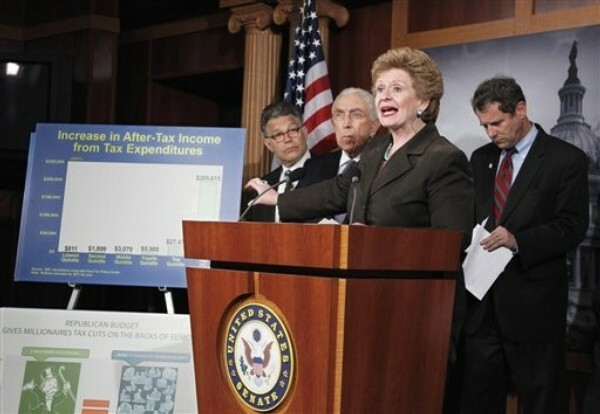 Stabenow has 48 percent support to Hoekstra's 42 percent in the EPIC-MRA poll. Hoekstra, who lost his bid for governor in 2010, still needs to expand his statewide visibility. While 26 percent said they have a favorable opinion of Hoekstra, 34 percent are undecided, and 23 percent said they do not recognize him. Seventeen percent have an unfavorable opinion. By contrast, 47 percent have a favorable opinion of Stabenow, and 39 percent have an unfavorable opinion. Still, her job approval ratings are upside down, with 41 percent giving her a positive rating and 52 percent giving her a negative rating. Charter school executive Clark Durant, who is also running for the GOP nomination, trails Stabenow by 20 points, 51 percent to 31 percent. EPIC-MRA surveyed 600 likely voters from Nov. 13-16. The poll has a margin of error of plus or minus four percentage points.